Royal Adhesives & Sealants LLC (“Royal”), announced today that it has acquired the business assets of Weld Mount Systems (“Weld Mount”). 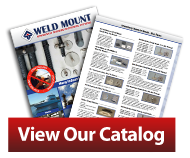 Based in Durham, CT, Weld Mount’s unique line of adhesively-bonded fasteners are designed for applications such as wire tie mounts, hose and cable clamps, studs, standoffs, and floating nut plates. All of Weld Mount fasteners are mounted with specially developed methyl methacrylate structural adhesives, which hold the parts in place on a vertical or overhead surface while curing to a permanent high strength bond. “Weld Mount’s adhesively-bonded mechanical fastener systems add a new dimension to the broad set of structural adhesive solutions we offer to our global marine, defense, transportation and assembly customers, who are rapidly adopting advanced composites and engineered plastics into their product designs where traditional mechanical fasteners cannot be used,” said Ted Clark, Chief Executive Officer of Royal. 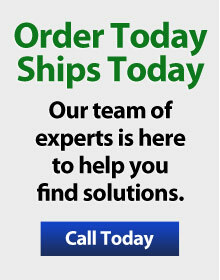 Founded in 2004, Weld Mount Systems develops, manufactures and supplies its unique adhesive fastening system to OEMs and distributors across the USA and Europe. Weld Mount develops innovative adhesively bonded fasteners that provide cost savings and improved product quality to the marine, defense and transportation and assembly markets. Click here to view website. Royal Adhesives & Sealants is a global developer and manufacturer of proprietary, high-performance adhesives and sealants. Headquartered in South Bend, Indiana, Royal offers a broad range of specialty formulated products designed to solve complex bonding, laminating and sealing applications across a diverse range of markets including aerospace and defense, construction, specialty packaging, automotive and industrial. The company offers a broad spectrum of customized thermosetting epoxy and urethane, solvent-based and water-based technologies to meet the most demanding adhesive and sealant applications. For additional information on Royal, please visit Click here to view website. American Securities is a leading U.S. private equity firm with approximately $15 billion under management. Based in New York with an office in Shanghai, American Securities invests in market-leading North American companies with annual revenues generally ranging from $200 million to $2 billion and/or $50 million to $200 million of EBITDA. Click here to view website. Weld Mount receives American Bureau Of Shipping (ABS) certification for most of its Weld Mount adhesively bonded fasteners and adhesives. Weld Mount, a leading manufacturer of Adhesively Bonded Fastening systems , has received American Bureau of Shipping (ABS) Product Design Assessment (PDA) Certification for most of its bonded fasteners and adhesives. This certification process reviewed our manufacturing standards, drawings and technical data to assess our products compliance with ABS standards. This ABS design review and approval demonstrates Weld Mount’s continued commitment to assure its products meet or exceed these most stringent rules and regulations for offshore use. Weld Mount Adhesively Bonded Fasteners eliminate drilling holes or hot work associated with welding saving significant labor costs while improving vessel integrity. Weld Mount System Fasteners are bonded in place using acrylic adhesives which hold the parts in place eliminating the need or expense of fixtures. Parts are available in stock and ship same day. Eliminating welding reduces costs and speeds repairs by removing procedures, ventilation, fire watches and high cost labor. This expedites repairs at sea and improves turn around time in port. Weld Mount Fasteners are ideal for use in finished areas of a ship where welding would be impractical due to furnishings which could be damaged by sparks or spatter. Weld Mount System Fasteners are used for a wide variety of applications from running electrical wiring and hoses to mounting panel boxes and controls. Surface bonded fasteners eliminate drilled penetrations and reduce bulkhead installation costs by not requiring technicians on either side of the wall to tighten traditional fasteners. Weld Mount Fasteners have been used extensively in the marine industry since 2005. This ABS certification allows us to expand their use into the commercial marine industry.